Cropthorne is located in Worcestershire, England, around 30 miles SW of Birmingham. We are a rural community of nearly 260 households, the population of around 600 ranging from pre-school children to retired folk. 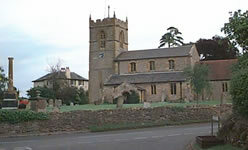 The village enjoys many amenities including St Michaels Church, a First School, the Village Hall and playing field, and a pub. We have easy access by bus and private transport to the towns of Evesham and Pershore where frequent rail connections are available.